CRS Runway Systems are professionally engineered specifically for each individual application. 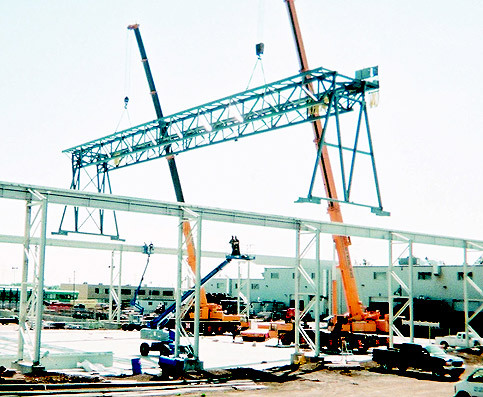 All CRS Runway Systems are manufactured in strict accordance with all CMAA specifications and installed per the attached CMAA runway alignment tolerances. 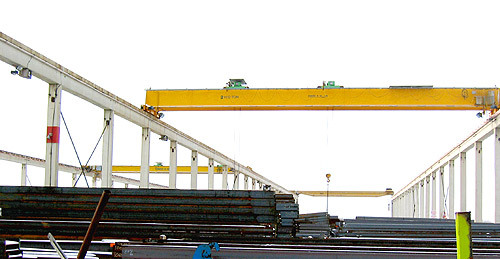 CRS will manufacture runways up to 200 Ton capacity for any type of crane, top running or under running. Heavier runway capacities are available. Contact your local CRS representative for more information. 75 Ton capacity, 300' Long, freestanding outdoor runway system. 20 Ton capacity, 400' long, freestanding, outdoor runway system. 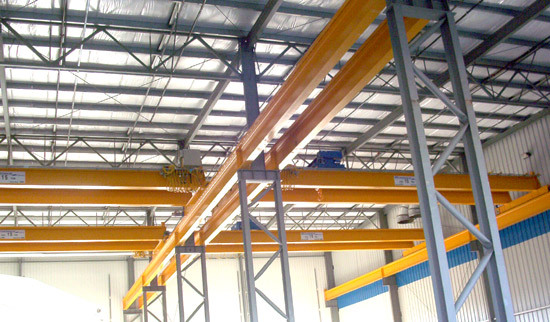 Two (2), side by side, 30 Ton capacity (two x 15 Ton cranes) runway systems.